THE WOODLANDS, Texas, April 5, 2019—After 25 years in the publishing industry, bestselling author Lee Strobel has selected an agent, and announced today his ministry partnership with Don Gates of The Gates Group. With the success of “The Case for Christ” movie last year, Strobel is in high demand as a speaker and content creator. After a fruitful season as a professor at Houston Baptist University and a teaching pastor at The Woodlands Church, he is now scheduled to speak over 90 times this year, in addition to co-producing “The Case for Miracles” movie that’s currently approaching production. Over the last six years, The Gates Group has worked with many best-selling, well-established and first-time authors. Other impactful authors collaborating with Gates include, Kyle Idleman, Jared C. Wilson, Trillia Newbell, JP Pokluda, and Dr. Michael Youssef, as well as the addition of Mark Mittleberg. Mittleberg and Strobel have collaborated for years on projects such as the Becoming a Contagious Christian Training Course and The Case for Christ Daily Moment of Truth. “I am excited for Lee in this next stage of his investigative writing journey; I truly believe he, in association with Don Gates, has many more millions to influence for Christ,” commented bestselling author Kyle Idleman. 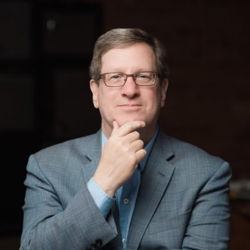 Lee Strobel (www.LeeStrobel.com), with a journalism degree from the University of Missouri and a Master of Studies in Law degree from Yale Law School, was the award-winning legal editor of the Chicago Tribune and a spiritual skeptic until 1981. His books include several Gold Medallion winners and he coauthored the Christian Book of the Year in 2005. He is a frequent speaker for national conventions and in influential churches across the country. Don Gates formed The Gates Group (www.The-Gates-Group.com) after a season of leading marketing and publicity at Zondervan. With an MBA from Kellogg, an MDiv from Southern Seminary and 20 years of brand management experience, Gates collaborates with and represents Christian pastors and leaders in their literary and associated endeavors. Widely recognized as a practical apologetics expert in science, history, philosophy, archaeology, and all evidences for the life of Jesus and the Christian worldview. Written more than three dozen books and curricula, with over 14 million copies sold, including The Case for Christ, The Case for Faith and The Case for Grace. Former award-winning legal editor of the Chicago Tribune, and recipient of a Master of Studies in Law degree from Yale Law School. Interviewed on TV networks, including ABC, NBC, CNN, Fox, Discovery and PBS, and written for the Wall Street Journal and the Washington Post. Executive produced and/or been featured in six films, including the award-winning “The Case for Christ,” one of the top 25 Christian films of all time.